In the first episode of the first season, Minhaj poked fun at ‘bad Indian American role models.’ What can one expect in Season 2? 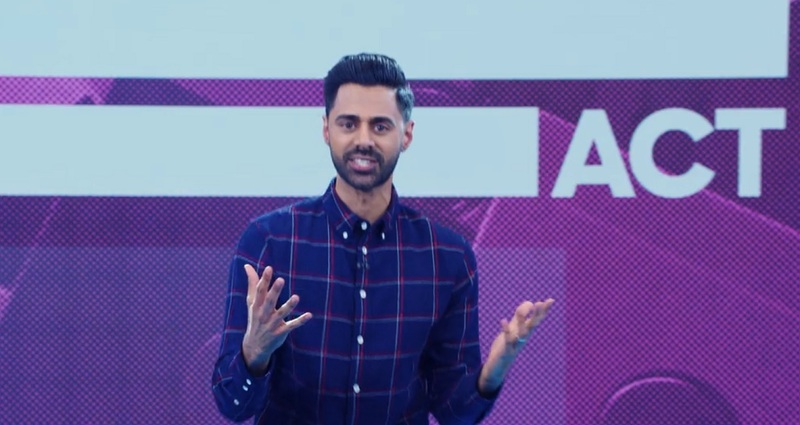 The Patriot Act with Hasan Minhaj, which was launched on Netflix last October, begins its second season on February 10. Season 1 received high ratings, with Slate calling it the first successful talk show by Netflix. In the first seven episodes in Season 1, the comedian dissected, analyzed and poked fun at a variety of topics, including Donald Trump, Amazon, Saudi Arabia and oil, among other individuals, organizations and issues. Interestingly, Minhaj — the first Indian American to have a weekly talk show on Netflix and on American national television — kicked off the show, on October 28, by holding a mirror to the Indian American community. The first episode titled “Affirmative Action,” ridicules the argument that Asian Americans are discriminated in the admission process of elite schools. Minhaj goes on summon all the “bad” Indian American role models, including former McKinsey and Co. managing director Rajat Gupta, who was convicted of insider trading in 2012, and billionaire pharmaceutical entrepreneur John Kapoor, the founder of Insys Therapeutics, who was arrested and charged with conspiracy and conspiracy to commit fraud in 2017. In a nearly two-minute clip, titled, Indians: Bad As We Want To Be, and posted on YouTube, Indian American youngsters and students are seen praising notoriously famous Indian Americans. The conversation may create a déjà vu moment for many young Indian Americans who may have faced similar parental pressure to perform well at home. The angry kids, seem to be calling out also on the helicopter parenting Indian Americans are often accused with. In the second season, one can expect more Indian American materials from Minhaj. He tweeted on Saturday that the first episode will focus on censorship. There will also be a “master class” on how to pronounce his name.